CHICAGO (Aug. 23, 2018) - The launch of three final Online Grassroots Coaching Courses completes the rollout of U.S. Soccer's new Grassroots Coaching Education Pathway. The rollout is part of the U.S. Soccer Coaching Education Department's continuing efforts to provide accessible education to all coaches, and aligns with the U.S. Soccer's mission to make soccer the preeminent sport in the United States by developing world class players, coaches, and referees. With the launch of the 7v7, 9v9 and 11v11 Online Grassroots Courses coaches across the country will be empowered with a soccer education relevant to their specific coaching needs through U.S. Soccer's Digital Coaching Center (DCC). "The introduction of the Grassroots 4v4, 7v7, 9v9, and 11v11 online and in-person courses have been a milestone for the game in our country. These new offerings were the product of research, development and collaboration with our youth members. The online courses make education even more accessible for all coaches across the country," said Director of Coaching Education Barry Pauwels. 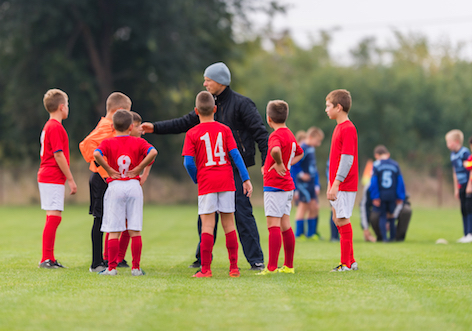 "By taking a Grassroots Course, candidates develop competencies to create enjoyable, safe and challenging learning environments for players of all ages. Through these educational initiatives, we hope to inspire coaches to become the best version of themselves and bring enjoyment and development to millions of players. It is our dream that every player in the United States has access to a soccer environment where he or she is developed by a licensed coach." The three new Online Grassroots Courses come after the cost-free introductory online module and4v4 Online Course were introduced in February along with all four (4v4, 7v7, 9v9, 11v11) In-Person Grassroots License Courses, which are run by U.S. Soccer Member Organizations. These nine educational opportunities, including the eight Grassroots License Courses, complete the Grassroots Pathway segment of the full U.S. Soccer Coaching License Pathway. Coaches will begin their journey along the Coaching Development Pathway with the Introduction to Grassroots Coaching Module before progressing to any of the eight Grassroots Courses, which consist of Online and In-Person Courses that focus on the four grassroots game models: 4v4, 7v7, 9v9, and 11v11. The game models are defined in U.S. Soccer's Player Development Initiatives. The four, two-hour Online Grassroots License Courses are offered by U.S. Soccer through the DCC, while the In-Person Courses are organized and run by U.S. Soccer Member organizations [find your Member organization]. The In-Person Courses take place over four hours with two hours dedicated to classroom learning and two hours dedicated to coaching on the field. Coaches can contact their local Member organization to inquire about scheduling and pricing for In-Person courses. This easy access, low barrier approach to the foundation of the Coaching Education Pathway empowers coaches with an education relevant to their specific coaching needs.